by J. 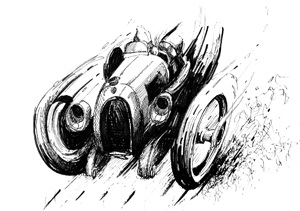 “Kelly” Flory, Jr.
Kelly Flory’s life is awash in numbers about cars. 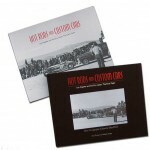 His dedication to gathering encyclopedic detail about every car sold between 1946 and 1972 is evident in these two 1,000-page (each!) 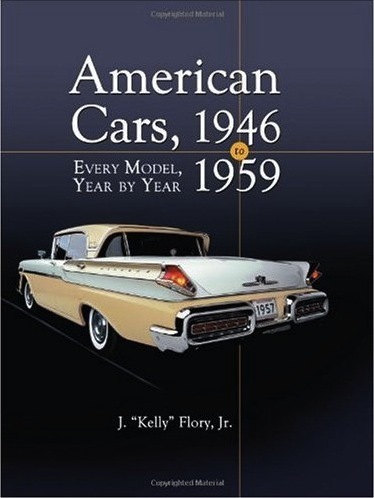 books, American Cars, 1960 to 1972, published in 2004, and his newer (but chronologically first) American Cars, 1946 to 1959, published in 2008 (both already reprinted once). No bit of information is too small, and none has been overlooked. But, lest anyone should be confused as to what is and is not covered by these books, note the fine print: “. 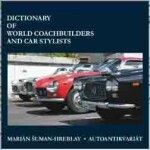 . . “all cars offered for sale in the United States by major American manufacturers . . .” In other words, certain categories fall outside the scope of these books: while an independent such as, say, Crosley is included, a low-volume make such as, say, Tucker, is excluded. Flory, of Lenexa, Kan., is a car enthusiast extraordinaire. 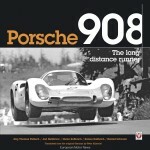 He started collecting automotive literature when he was 10 or 12 years old. He worked for Kay-Bee Toys in high school and continued there for 16 years, in part because it gave him access to models. His collection of more than 5,000 models contains boxes of Hot Wheels cars, plastic models, and die cast metal cars. Flory’s literature collection, which numbers in excess of 4,000 pieces, plus a bunch of old Motor magazines and NADA books, is the basis for his book. The intention here is to reproduce the sort of information a consumer back in the day would have found in sales brochures and promotional material. (Replete with marketing slogans, from the lame “Designed for you and your budget, too! [1952 DeSoto DeLuxe] to the clever “Ask the Man who owns one! [1954 Packard] to the . . . zippy “Fury . . . all the zip you can tame!” [1959 Plymouth Fury]). But unlike a pile of individual catalogs, Flory reshuffles the data so as to present it in standardized form which allows easy apples-to-apples comparisons of the models. Flory is a technical accounting specialist who finds delight in excruciating detail. These books contain detail about every passenger car model sold between 1946 and 1972; trucks and truck-based vehicles are not included. Each individual year is introduced by a summary of pertinent auto industry news, trends, noteworthy achievements, and overall historical context. The marques are then described in alpha order and each starts with brief introductory remarks about the year’s models, year over year changes, and styling and technical highlights. 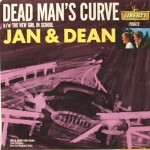 Model listings go from least to most expensive and include available body styles, base prices, engine and transmission choices, power ratings, standard equipment, major options and their prices, shipping (as opposed to curb) weight and dimensions (interior and exterior), paint color choices, changes from the previous year’s model, and production figures. Also given are assembly plant locations and historical overviews of each model nameplate. For example, you can find that in 1960, Studebaker built 4,280 two-door Hawk coupes with a base price of $2,650, and an AM radio was a $57 option. The Hawk accounted for 3.28 percent of Studebaker’s total sales. Flory’s second book begins right after World War Two and goes to 1959. The Introduction is a concise explanation of how automakers grew during the postwar period and then encountered the rise of imports and the fall of domestic independent brands. Flory also explains how a growing middle class used its expanding wealth to purchase cars that were becoming loaded with more and more standard equipment. The last section of the book is a fascinating look at Dream Cars, as concept cars were called in the 1950s. 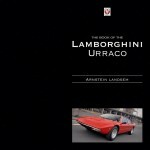 The chapter is punctuated with numerous photographs of cars such as the 1954 Packard Panther-Daytona and the 1954 Hudson Italia. The 1954 Chevrolet Corvair was a fastback version of the Corvette. The fastback never went into production, and the Corvair name appeared in the 1960s on Chevrolet’s air-cooled, rear-engined compact car. For folks interested in restoration, Flory’s books are an invaluable resource. 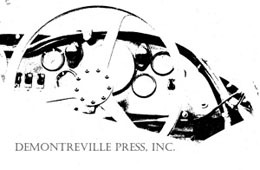 They are also entertaining for any enthusiast who enjoys the minutiae of spec sheets, not to mention hundreds of period photographs and illustrations. 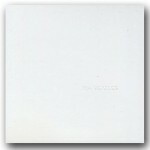 Pages are tabbed on the front edge by year, facilitating look-up. Readers who have need of reference material such as this may already be familiar with the many volumes in the series of Standard Catalogs by Krause Publications. As the above explains, Flory’s books have a different purpose, scope, and presentation. 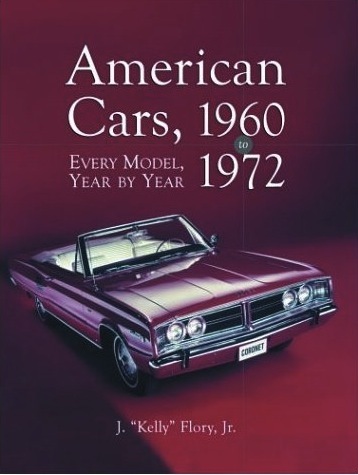 In 2010 a third volume along the same lines was published: American Cars, 1973 to 1980 (ISBN-13: 978-0-7864-4352-9).